The Chevrolet Volt has badly beaten the Nissan Leaf in monthly sales by a margin of better than 2-to-1 over the first two months of 2013 but in March, the Leaf battled back – posting the best sales month ever for the all-electric Nissan since being introduced in late 2010. In March 2013, the Nissan Leaf beat the Chevrolet Volt in monthly sales for only the third time in the last fifteen months and it did so by posting a record sales month with 2,236 units sold. Nissan sold just 1,303 units in January and February combined so this month’s sales more than doubled Nissan’s numbers for the year. Also, with just 579 Leaf EVs sold in March 2012, last month’s record sales figures represent a huge year over year gain. On the year, Nissan has delivered 3,539 examples of their all electric Leaf which is considerably higher than their total after the first three months of 2012 but the Leaf still trails the Chevy Volt in annual sales by 705 units. While the Chevrolet Volt has badly beaten the Nissan Leaf almost every month over the past year, the electric Chevy has posted the occasional bad month and March 2013 was one of those bad months. With just 1,478 units sold last month, the Volt posted its worst sales month since April 2012 when 1,462 Chevy EVs left dealerships around the country but in the grand scheme of things, 1,478 Volts sold last month isn’t all that bad. That figure would have been good enough to beat the Nissan Leaf in monthly sales in all but three months out of the last fifteen but with Nissan posting record Leaf sales last month – Chevy failed to hold on to its shutout for 2013. On the year, General Motors has sold a total of 4,244 copies of the Chevrolet Volt and that figure keeps the Volt atop the US electric vehicle segment. Even though March 2013 was a much slower sales month for the Volt compared to March 2012 when 2,289 units were sold, the electric Chevy is still ahead of where it was after the first three months of 2012. Over the past 15 months, as the Chevrolet Volt repeatedly pounded the Nissan Leaf in monthly sales while also comfortably winning the 2012 annual sales title, production constraints have been blamed for the poor Leaf sales figures. 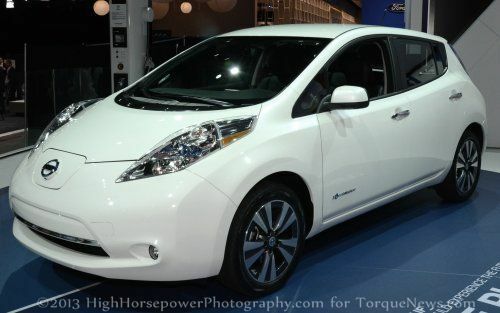 Nissan planned to remedy this problem by beginning production of the Leaf in their Tennessee assembly plant in January and it looks like the impact of the North American production may hitting the sales sheets. The big test for Nissan will be to put together back to back sales months like this one, as they certainly cannot expect the Chevy Volt to continue posting balmy sales figures as we continue through 2013. Should Nissan be able to continue clipping along with months of over 2,000 Leaf EVs sold, the Japanese automaker could have a real chance of besting GM in 2013 annual EV sales but it won’t happen without a fight. Considering that Chevrolet sold over 2,200 Volts five times in 2012, there is a good chance that the Volt will continue to strength its numbers as we get into the warmer summer months. The problem is that both the Nissan Leaf and the Chevrolet Volt are facing increasing competition from other automakers. Pure electric vehicles like the Chevy Spark EV, the Fiat 500e, the Ford Focus Electric and the Ford CMax Energi are cutting into the Nissan Leaf’s numbers and while there is no other extended range EV like the Chevy Volt available in the US, improving hybrid technology is making the conventional hybrid a closer competitor for the Volt. The Leaf and Volt both had huge head starts on the rest of the EV segment but over the next year, they will both have to worry about far more than just each other.